With all the excitement concerning the worldwide release of the new Cosmos series with Neil deGrasse Tyson this month, it's a good time to repost this piece from 2009 on the remarkable Mae Jemison. Young people need role models, and Dr. Jemison is a great one. According to The American Board for Certification of Teacher Excellence: "Mae Jemison, with her perseverance and commitment to science, serves as a great role model for future scientists everywhere." Mae Jemison is an astronaut, a medical doctor, a scientist, an engineer, an art collector, and a dancer. In 1992, Dr. Jemison was the first African-American woman to go into space. Since then she's become a crusader for science education, and for a new vision of learning that combines arts and sciences, intuition and logic. I think this 2002 TED talk below, recently featured on the TED website, is an important one to watch. The presentation itself is well structured, clear, and delivered with passion, although the visuals used did not match the quality of her talk. Yet, I do not point to this talk as an example of great visuals or even of perfect delivery. Rather, I think it's the content of the talk that will cause you to pause and reflect, especially if you care anything about education. Dr. Jemison says it's foolish to even think in terms of having to choose between being analytical or being intuitive and likens this false choice to having to choose between being idealistic or realistic. "You need both," she says. Dr. Jemison's point is simple and it's not new, yet here we are today still thinking, for the most part, that science and the arts are completely separate from one another and that scientists are not creative and that artists and other "creatives" are not analytical. Worse still, we have educational institutions that guide students away from their artistic interests because "you'll never get a job doing that." What a waste. Looking back at my own K-12 education, I wish I had had more exposure to science and math, especially astronomy, physics, and statistics which were all but missing for me until college. But, I wish I also had taken even more art and music classes instead of avoiding fine art classes, for example, out of guilt that it was not serious academic work. "If we keep thinking that the arts are separate from the sciences...and that it's cute to say 'I don't understand anything about [the arts] or I don't understand anything about [the sciences]' then we're going to have problems." I'm not suggesting that everyone needs to be Leonardo da Vinci or that we all should be enlightened, well-rounded generalists. We need specialization. But even specialists have gained from following their inherent curiosity and by following a more holistic approach to their own education, an education that extends far beyond formal schooling. Over the years I've met many people in the high-tech industry, for example, that in addition to being successful engineers and programmers, etc., were also talented musicians or had obsessions in the arts that went far beyond a passive interest or hobby. In spite of the stereotypes about "technology nerds," the successful ones I've met always struck me as being sort of modern day Renaissance men/women, possessing both a well-rounded eduction in the arts and sciences and a deep, deep expertise in a special field. Science or art? A ridiculous choice. The arts and sciences are connected. And our mission, says Dr. Jemison, is to reconcile and reintegrate science and the arts. Both the arts and the sciences, says Dr. Jemison, are not merely connected but manifestations of the same thing — they are our attempt to build an understanding of the universe, and our attempt to influence things (things in the universe internal to ourselves and the universe external to ourselves). "The arts and sciences are avatars of human creativity — [they] are our attempt as humans to build an understanding of the world around us...."
Don't let anyone rob you of your imagination, your creativity, or your curiosity. It's your place in the world; it's your life. Go on and do all you can with it, and make it the life you want to live." Mae Jemison's TED presentation ties in nicely with a piece that came out this week by the legendary Quincy Jones called Arts Education in America. Quincy asks "...can we really run the risk of becoming a culturally bankrupt nation because we have not inserted a curriculum into our educational institutions that will teach and nurture creativity in our children?" The most interesting part of Quincy's article were the words taken from the 1943 War Department Education Manual EM 603 that got its recommendations on jazz completely wrong. (Read it — you'll be amazed.) Kind of makes you wonder what else — in spite of good intentions — our educational institutions and leaders are getting completely wrong today? If our recommendations are based on the assumptions that science is not a place for creative thinking or that the arts/humanities have no room for analysis and logic or that students need to make a choice about what kind of person they are — logical or intuitive — then something tells me we're getting it wrong. We need both science and the arts...and we need to do better teaching both. "It has been proven time and time again in countless studies that students who actively participate in arts education are twice as likely to read for pleasure, have strengthened problem-solving and critical thinking skills, are four times more likely to be recognized for academic achievement, four times more likely to participate in a math and science fair...."
Sam Berns presents "My Philosophy for a Happy Life"
Three years ago, HBO produced a documentary about Sam Berns called "Life According to Sam." I had not seen the documentary until earlier this year. It's a remarkable story. I don't think anyone can watch this documentary about this amazing young man and his two loving parents and not be deeply moved. The documentary does not play on sentimentalities, but it will surely make you cry, especially knowing now that on January 10 of this year, Sam Berns died due to complications from Progeria (Hutchinson-Gilford Progeria Syndrome), a rare and fatal genetic condition which is characterized by an appearance of accelerated aging in children. Most children with Progeria do not live past their teens. When I saw that Sam had passed away, I felt so sorry for him and for his family. But pity is not something Sam would have wanted anyone to ever feel about him. Sam gave a talk last October at TEDxMidAtlantic in Washington DC. This video below of his talk was posted in December, just about a month before Sam passed away. Sam touched the hearts of a lot of people while he was on this planet, and through this presentation he will continue to do so. 17-year-old Sam Berns gives us some good advice, but he also demonstrate how to tell your story in 12-minutes in a way that is simple, clear, and engaging. Sam does not start off his presentation by talking about Progeria because his whole point—his theme—is that the disease is not the biggest part of his life. Instead he begins with a short story from his life about a challenge and overcoming that challenge without even ever mentioning the disease. That was what his life was like: Overcoming and moving forward. Sam opens with a mini-story where he tells of his deep desire to play snare drum in the high school marching band. The problem was the frame for the snare drum weighed 40lbs, but Sam only weighed 50lbs. A clear conflict. He was devastated by the reality that he would be unable to fulfill one of his dreams. His body was not up to it though his spirit was. We learn, then, that he was, however, able to work out the problem thanks to the kindness and brilliance of an engineer who created a special snare drum frame that weighed only 6lbs. Right from the start we have a story of conflict and resolution. Morerover, the snare drum story returns later on in his talk with added significance. Sam does get into the facts of what the disease is—this is part of exposition if you will. The audience needs this knowledge to understand what follows and to appreciate just how remarkable his wisdom is given his difficult circumstances. We usually reserve wisdom for the old, obviously because they have been through so much. Well, Sam too, although only 17, had been through a lot. Sam recalled that when he was asked by an NPR interviewer "What is the most important thing that people should know about you?" His answer was "I have a very happy life." Sam said that Progeria did indeed present many challenges but that people should not feel sorry for him. Besides, he said, he was able to overcome most of the challenges anyway. "My Philosophy," he said, "has three parts, essentially." Sam then prefaces his list of three with a quote from the movie Ferris Bueller: "Life moves pretty fast. If you don't stop and look around once in a while, you could miss it." (1) "Be OK with what you ultimately can't do, because there is so much you CAN do." Sam said he is very much aware of the things he can't do, like ride a roller coaster, but instead of focusing on that he instead focuses on the things he can do, and the things he is passionate about. Sam said you can put somethings that were impossible or out of reach before in the "can-do category" by making adjustments. To illustrate this point with an example he plays a clip of himself with the marching band, the story he opened with, which further illuminates his theme or his core message. (2) "Surround yourself with people you want to be around." Sam talked about the importance of having high-quality people and great friends in your life, and a close family. "We see each other for who we are on the inside," Sam said of his friends and loved ones. You can see Sam gets choked up when talking about how the relationships in his life supercede even all the other positive aspects of his life. Our friends, our families, our communities, Sam said, are really the things that can make a huge difference in our lives. (3) Keep Moving forward. Here Sam quotes Walt Disney: "Around here...we don't look backwards for very long. We keep moving forward, opening up new doors and doing new things." Sam said he was able to get through difficult times by always having something in the future to look forward to, even if it was just a small thing like a new comic book or a football game. "This mentality includes staying in a forward-thinking state of mind. I try hard not to waste energy feeling badly about myself, Sam said, because when I do I get stuck in a paradox where there is no room for happiness or any other emotion." Sam was so positive and so optimistic about his future. "No matter what I choose to become, I believe I can change the world. And as I am striving to change the world, I will be happy." He showed a clip from the film which he said emboddied his philosophy. Even though he had change in four years, he said, his philosophy had not. Sam told a story at the end of being very sick. It was a time he had to use all his strength and put his philosophy to the challenge. It was the three keys above that saw him through the roughest times, he said. "Being brave isn't supposed to be easy," Sam said. "But it's the key to moving forward." "Being brave isn't supposed to be easy, but it's the key to moving forward." Sam's talk is a beautiful thing. It is positive, authentic, and from the heart. His presentation is a wonderful contribution that is continuing to touch people, and inspire them to live life as fully as they can. Thank you, Sam. You live on in more ways than you could have imagined. More storytelling lessons from "Cosmos"
This is an exciting week for anyone who was even remotely influenced by Carl Sagan's "Cosmos: A Personal Voyage," a thirteen-part TV series which first aired in 1980. This week began the much anticipated follow-up called "Cosmos: A Spacetime Odyssey" hosted by famed astrophysicist Neil deGrasse Tyson. Like many people, I'm a huge fan of both the late Carl Sagan and current science communicator extraordinaire Neil deGrasse Tyson. I'm interested in Cosmos for the science and the awe of the universe that will unfold before us on screen. But for me — and I suspect for many of you as well — I'm interested too in the many lessons about presentation and storytelling that will be implicitly displayed over the next several weeks in the new Cosmos. 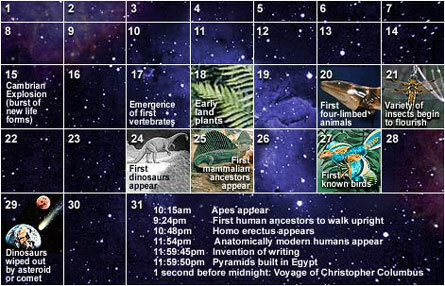 But before touching on those points, the first question is really why does the original Cosmos endure to this very day? Why does a show about the universe produced in 1980 have such a strong pull on us today? 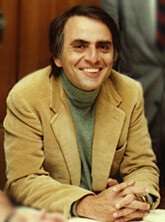 It's not because of the compelling communication style of Carl Sagan alone, although that is a small part of it. Nor is it because Sagan gave us information that most of us never had. The reason Cosmos endures is because the presentation of the original Cosmos series made it clear why what we were seeing and hearing mattered. Even if it was not always explicitly stated, the message was clear: This is important. This is remarkable. And you are a part of it. If you listen to the creators of Cosmos you will hear the words Story and Storytelling uttered frequently. "You realize that science is not just this subject from a textbook," Tyson said. "It's a human story. Discovery is human… It's a celebration of human curiosity and why that matters to who and what we are." Below are just a few lessons from Cosmos—the original and the new series—that we may be able to apply to our own presentations. There are many, many more than this, but here are just a few for now. Whether you have 5-minutes, 18-minutes, or an all-day seminar in which to tell your story, it is never enough time to tell all that you know or to share everything in as much detail as possible. Time can be a real obstacle, but it's also a great enabler if you are willing and able to put in the time to think long and hard about what's the most important and what's less important for reaching your audience in a way that is honest, informative, and engaging. You can't include all that you know or all that there is to say. The secret is in knowing what to leave out. Cosmos is only thirteen-hours long so the creators had to be very focused about what to included and what to exclude. When cutting we must be careful, however, not to misrepresent or conceal or distort or embellish the data. This is not easy. Balance is key. As Neil deGrasse Tyson points out in this Bill Moyers interview, the original Cosmos was not just a documentary of the latest scientific findings concerning the universe. There was something more there. After all, Tyson reminds us, there have been many documentaries since the original Cosmos that did a good job of laying out the latest science, and yet they more or less fade from our memory. But Cosmos did not fade. Why? "It's not because it brought you the latest science—although it also did that," says Tyson. The impact of Cosmos endures to this day, says Tyson, "...because it displayed for you why science matters. Why science is an enterprise that should be cherished as an activity of the free human mind. Because it transforms who we are, how we live, and it gives us an understanding of our place in the universe." It is hard to choose just one element that a successful story must have, but if I had to choose just one, I'd say it is this: Show clearly why your topic — or result, cause, mission, etc. — matters. 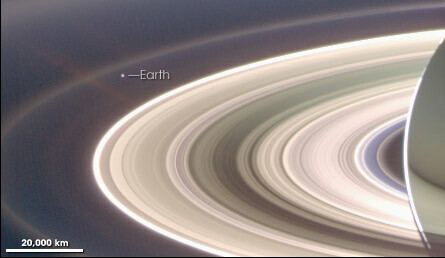 What's the big picture and our place in that picture? Pixar's Andrew Stanton said something very similar when he identified the most important element of storytelling as "make me care." You must make the audience care. And you must let them know clearly why they should care. Two of the great crimes of science education, says Tyson, is (1) not knowing how to make it exciting, and (2) believing that you are making it exciting by "dumbing it down." The audience, says Tyson will know if you are dumbing it down. He says you must speak to the audience with respect and dignity and have appreciation for the audience's capacity to wonder and for their intelligence. Too much TV programming, for example, Tyson says goes down—way down—to the lowest common denominator. "What kind of vision statement is that for producers of media or even for a nation to create programming that does not treat people as intelligent beings?" The lesson for us? Know your audience as best you can and prepare with that audience in mind. The new Cosmos is a "visual-effects extravaganza," says John Teti writing for avclub.com. "Cosmos doesn’t hesitate to indulge in eye candy. But the true feat here is how Cosmos’ imagery overcomes our puny ability to conceive huge spaces," says Teti. "Each line on the cosmic address follows clearly from the last, and the sequence’s methodical buildup lets viewers acquire a sliver of insight into our universe’s baffling bigness or, to put it another way, our pathetic smallness." However, "visual" does not mean only the use of graphics such as photography, video, animations, visualizations of data, and so on. Visual also means helping the audience to clearly "see" your ideas through your use of descriptive language, through the use of concrete examples, and by the power and simplicity of metaphor. Tyson says that Cosmos is not an attempt to beat people over the head with things they must understand to become science literate. Instead, he says, it is an offering. "I'm not saying learn this or else!" But rather, Tyson says, "it's like, here it is and here's why it matters....Here's why your life can be transformed just by having some understanding of this." Producer Ann Druyan says that the way science has been taught in schools is "horrendous," an approach which often results in our natural curiosity being "beat out of us." Therefore, says Druyan, "the way we are trying to tell these stories is an opening, an aperture to the excitement [of science]." Tyson goes on to add, "Cosmos will reignite the fires of curiosity that I know live within us all." "In the new Cosmos we are continuing this voyage. We are continuing this epic exploration of our place in the universe," says Tyson. There have been new discoveries obviously since the original Cosmos in 1980. For example, some thirty years ago we did not know—though people suspected—that there were other planets orbiting other stars. This discovery is not just new science, says Tyson. "It's new vistas of thought and imagination." Science can be told as an adventure as exciting and mysterious as anything any man has made up. Good storytelling causes the audience to ask questions as your narrative progresses. As the storyteller you can ask questions directly, but often a more interesting approach is to present the material in a way that triggers the audience to come up with the questions themselves. And yet we must not be afraid to leave some (many?) questions unanswered. When we think of a story we may think of clear conclusions and neat, clear endings, but reality can be quite a bit more complicated than that. There are an infinite amount of mysteries to ponder and puzzles to be solved. Many observations can not (yet) be explained, but that is OK. This is what keeps us going forward. "Science doesn't have to be the opposite of religion in terms of its emotional value," says producer Brannon Braga. "Science can move you like any other story. Science can be a visceral, emotional experience." In an interview with Skepticality, producer and writer Ann Druyan said "In order for it to qualify on our show it has to touch you. It still has to be rigorously good science—no cutting corners on that. But then, it also has to be that equal part skepticism and wonder both." In this interview with The Christian Science Monitor, "Tyson says, "what you remembered most about Cosmos is how it affected you not only intellectually, but emotionally." Great interview with Bill Moyers and NDT. • The Carnegie Mellon University website has a page entitled Telling Science Stories with documents and links to resources for helping people incorporate elements of storytelling into their science writings and presentations.